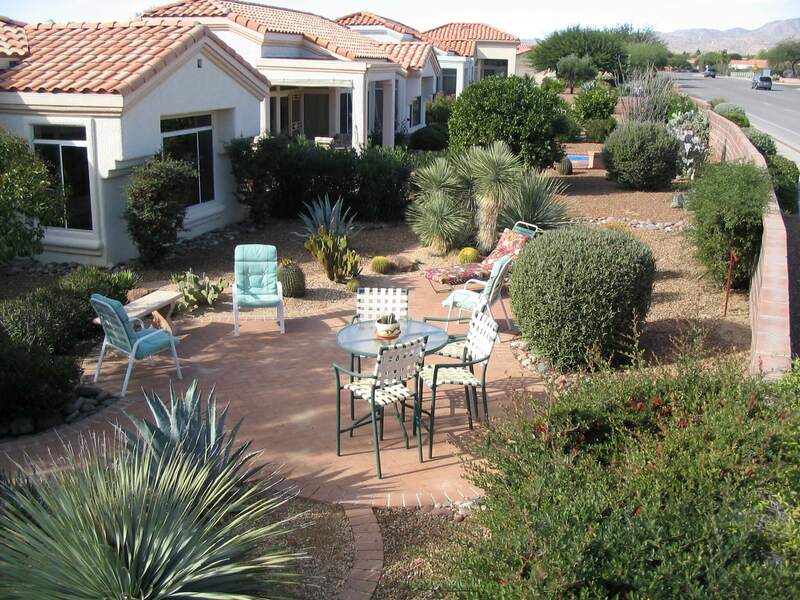 Southwest style home, backs to the desert, nicely furnished and well equipped. Fully fenced back yard, pets considered. Golf cart included. Available: July – December 2019 | May – December 2020 | May – October 2021. 28-day minimum. 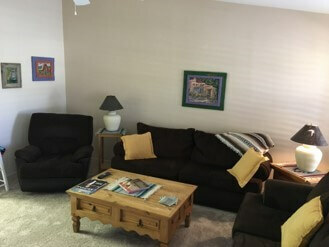 Beautifully decorated, light, airy and open living space, high ceilings throughout, split plan, 2Br/2BA on Trade Winds. 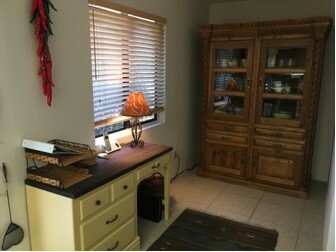 Kitchen table and dining table. 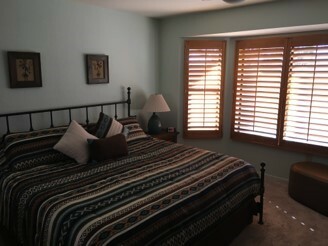 Large windows, tile and carpet, desks in each bedroom, super nice neighbors. Well-furnished and move-in ready…just bring your suitcase and toiletries. 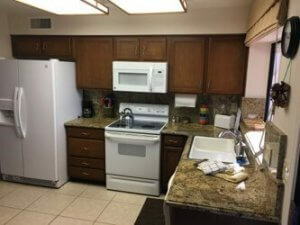 Kitchen is up-to-date and well-equipped. Views of mts from bedroom, LR and back patios. Back yard – Electric grill, 2 patios (one covered), park-like with high wall. Private! 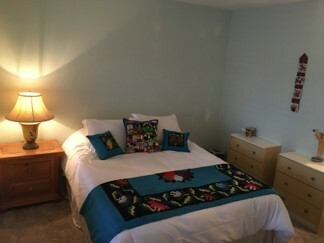 Fully furnished, MR – king, GR- hide-a-bed (two twins or put together for king bed). Central, walk to any of the activity centers. Open May 2019 and beyond including most of 2020. Prefer 4 month renter or two 2- month renters such as January-Feb and March-April. $1,500-$3,400. N/P, N/S no exceptions. We live near by so are available to help if needed. A lovely, warm home is waiting for you! NEW on the market. Seasonal rental or long term. Fully furnished. 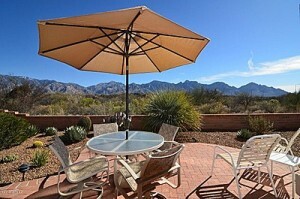 Fantastic unobstructed views of the Catalina mountains. 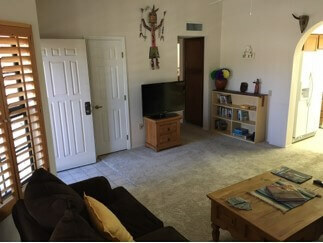 New tile and paint throughout the home in December 2018. Located on Green Tree Drive and within close proximity to the Library, Restaurant,Pool,Golf,Community Center and more.